The journey home begins. 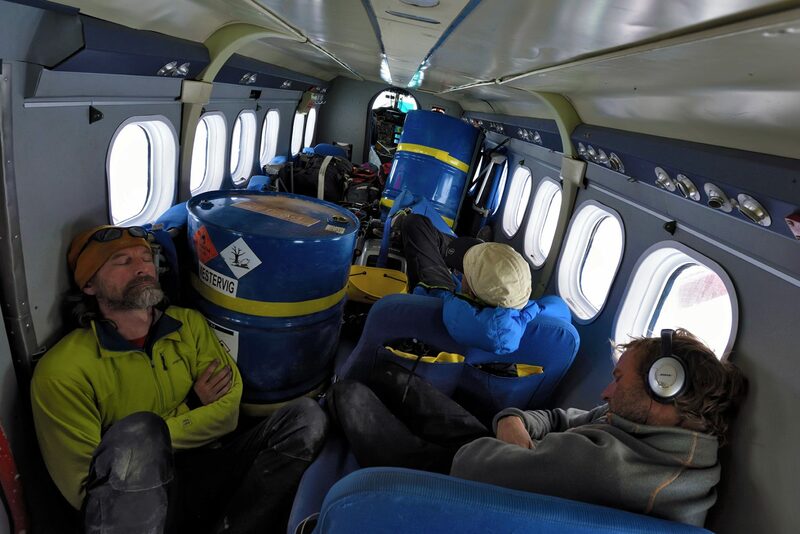 Tired and weary bodies sleep inside the Twin Otter. We even found space inside the plane for two empty drums of fuel. Copyright © Robbie Shone 2014.